I have received this press release from the National Trust. 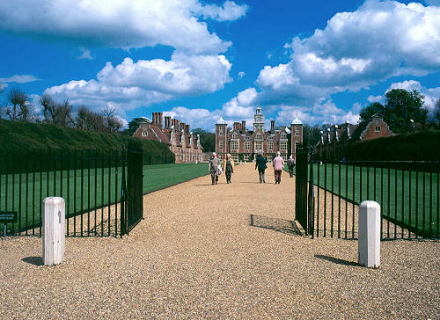 Blickling Estate pocketed the prestigious ‘Creativity with Collections’ Award at the National Trust’s ‘Move, Teach and Inspire’ conference at Heythrop Park in Oxford last Thursday. Over the past year the house team used the opportunity of being open all year round to develop a new conservation-led experience, seizing the opportunity to share, engage and inspire visitors. Throughout 2017, Blickling Estate encouraged visitors to come and see what goes on behind the scenes. Every Tuesday visitors were given the opportunity to get involved in the vital conservation and housekeeping processes that preserve the house for future generations. This became known as ‘Conservation Tuesday’ and was a popular attraction, encouraging both existing and first-time visitors to come and find out more. Blickling also hosted special tours on these days, including the attics, where visitors could discover more unusual and intriguing stories of past inhabitants. The estate was inspired to extend the opportunity for supporters to not only visit more frequently, but to share their vital conservation work and join in the conversation about the National Trust’s primary purpose of caring for the nation’s heritage. Paul Forecast, Regional Director for NT East of England. A new visitor entrance on a Tuesday was introduced and by using a mix of audio/visual, written and verbal interpretation, visitors found the collections more accessible and could view artefacts from a fresh perspective. Pop-up conservation stations covered a variety of topics from care of leather to the cleaning of collection objects including ceramics and books; and there were volunteer-led demonstrations, expert talks, and objects to handle; as well as a new video telling the story of our textile collection. This year Blickling continues to encourage visitors to see the house in a different light, 363 days a year. Already seeing a surge of interest towards conservation processes throughout the winter months, Blickling offers a varied route around the house, as room openings vary from day to day due to the ongoing housekeeping taking place.